This DIY Candy Cane Vodka makes a fabulous Christmas gift and it’s ready in less than an hour! Post may contain affiliate links. A Great Christmas Gift – Ready in Less Than an Hour!! We all have them. The friends or family that appreciate a nice bottle of wine, a perfectly aged scotch, some homemade liquor. I’m one of them. I particularly love homemade infusions, both the give and to get. The problem with giving them is that a lot of them require weeks to age. No problem if you remembered to do it weeks ago, big problem if you didn’t. Well, I have the answer for you – Candy Cane Vodka. The easiest and prettiest liquor that you can make! In about 45 minutes time (and that includes gathering the supplies), you can have lots of bottles filled with pretty red candy cane vodka. Click here to pin this DIY Candy Cane Vodka now! Step one – get some candy canes. You will need about 12 full size candy canes for a 750 ml bottle of vodka. Unwrap the candy canes and break them into pieces into the bowl of a food processor. Process until the candy canes are a fine dust. Place the powder in a jar large enough to hold the amount of vodka you are using. Step two – get some vodka. 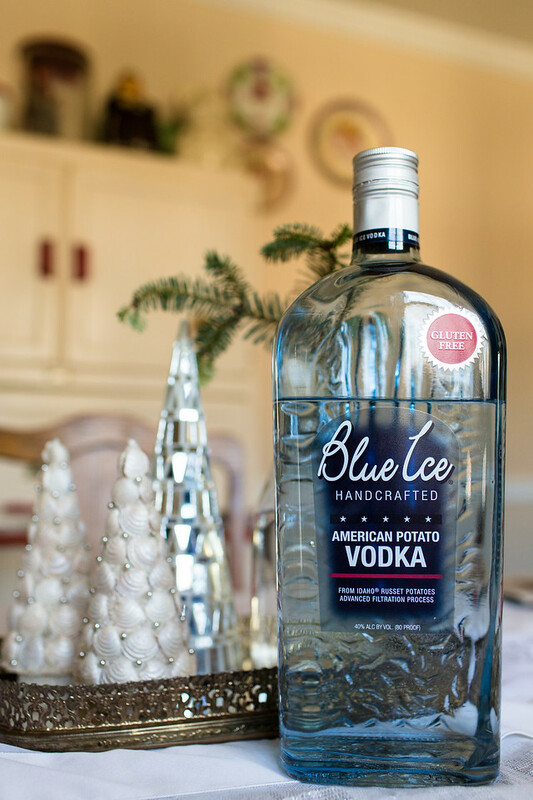 Almost any vodka will do, we happened to have some of this Blue Ice American Potato Vodka, one of our favorites. Pour vodka over candy cane powder in jar, put the lid on and shake it to mix it. Let it sit for 30 minutes, shaking occasionally until the vodka turns a pretty red and the powder is dissolved. Strain into pretty bottles (you may not need to if your powder was really fine), label and get ready to see the happy faces of people as they receive your thoughtful gift! This vodka is amazing in hot chocolate, drizzled over vanilla or chocolate ice cream, and I even like to just sip it – a sort of peppermint martini! 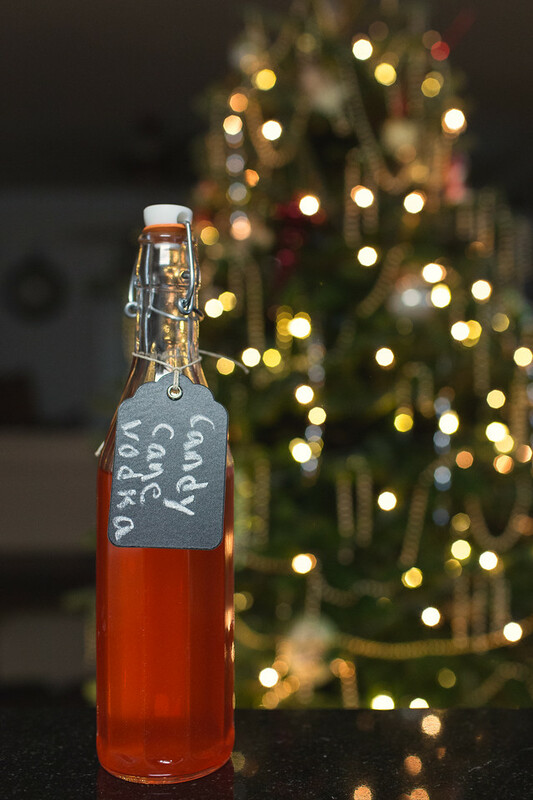 This Homemade Candy Can Vodka is so yummy and it's ready in under an hour! Unwrap candy canes and break them into the bowl of a food processor. Process until candy canes are a fine dust, and then pour into a jar large enough to hold the amount of vodka you are using. Add vodka to jar, cap and shake to mix. Let sit for 30 minutes, shaking occasionally until the vodka is a pretty red color and the powder as dissolved. Strain (if necessary) into pretty bottles. This sounds so festive, delicious AND easy! We have a couple of Christmas parties coming up, so I’m definitely going to have to give this a try. It’s so crazy easy and everyone loves it! Oh wow – I’m in trouble now! This looks and sounds so delicious! I can’t wait to give this a try! I am a Vodka chick and I cannot believe that making Candy Cane Vodka is this easy! I can’t wait to try it. I have a group of girlfriends coming over to make Christmas cookies with me next weekend and I want to do something extra just for them. I have a bunch of candy canes left over from hot chocolate cupcakes I made last week and this will be so fun to surprise them with! Oh, they will love it!! Just be careful, it tastes so good, you forget it’s alcohol! It’s great in hot chocolate too! Perfect Christmas Gift. Love how simple and creative this is. Sharing with my friends too. This is such a good idea! thanks for sharing and just in time for the holidays! One of my favorite ways to add some Christmas cheer to cocktails! Yes, and it’s so crazy easy! Great idea for a last minute Christmas gift! I also love infusing liquors at honr, though I usually use herbs and spices to do it! Woupdbt have thought to use candy canes! It really does make a quick and easy Christmas gift! Oh WOW, this recipe is actually more than simple and this would be the perfect DIY Christmas GIft! Totally unique! I know! I love that it’s so easy too! This is so cool and so creative. I have never tasted candy cane vodka but I bet it tastes delicious. I must try this out soon. perfect Christmas gifts as well. It is! It’s so good in hot chocolate! That sounds incredible! Who would have thought of candy cane vodka? We have some friends who would love this as a Christmas gift. It does make the best Christmas gift! Love this – will make some for gifts this year. Also, I tried to go to Foodie Friday (designs by gollum) and was refused entry although I had visited that site for years. I haven’t gone there for awhile, but I would love to be invited to see her blog again. Thanks! She is no longer active on that blog. I follow her now on Instagram. I just wanted to drop in and let you know that I made this for gifts. Great idea and tastes great. Thanks Pam. Great! I’m so glad you like it! I’m one of “them” too Pam:) I sure wouldn’t mind getting this as a present one bit. I better get me some Candy Canes, quick!!! I can think of two people right off the bat that would LOVE this! Perfect for National Candy Cane Day too which just happens to be the day after Christmas. Wow this is such a great idea! My friends love vodka so it would be the best present ever if I made them this Candy Cane Vodka! This gift is a nice antidote to the buying craziness for sure! 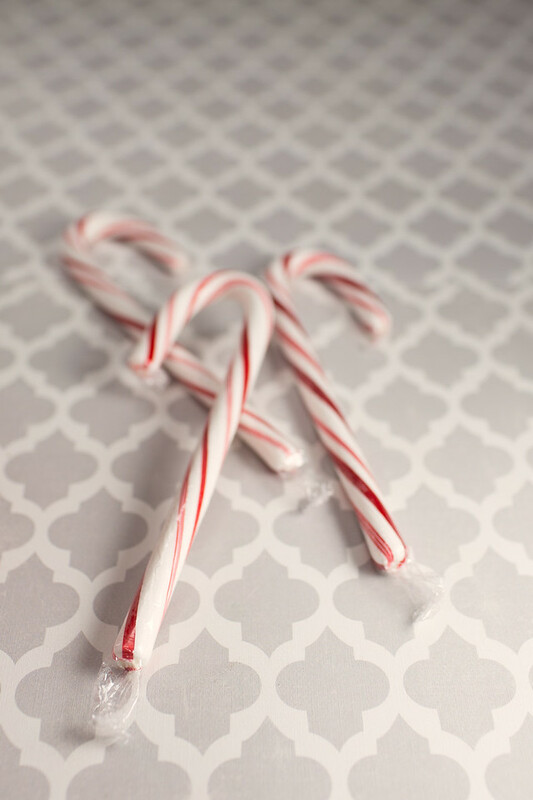 I am all about the DIY gifts this year…and given how much the.boy loves peppermint, I MUST make this!